"I Cherished All of His Movies"
The statement above appeared in the 100th issue of the British quarterly magazine “Elvis: The Man and His Music,” edited by Trevor Cajiao. It’s an essential reality for Presley fans to keep in mind as the 80th birthday of the King of Rock ’n’ roll arrived on January 8, 2015. Despite his passing over 37 years ago, his imprint on popular culture continues to live through his musical legacy. While the anniversary of his passing each August is marked by a celebration of his life in Memphis, the anniversary of his birth each year is an occasion for personal reflection by his multitude of fans. For me, January 8 is always a nostalgic date that brings back memories of my 15 years as an Elvis fan while he was still alive. I consider myself a second-generation Elvis fan. Along with most other “baby boomers,” I was too young to experience the initial explosion of Presleymania in the fifties. It wasn’t until the early 1960s, during the years often disparagingly referred to as his “movie years,” that the Presley mystique drew me to him. It seems to me the first-generation Elvis fans of the fifties and third-generation fans of the seventies and beyond often have a distorted view of my generation of Presley followers. That can’t understand our affection for the formulaic movies Elvis made in the sixties. 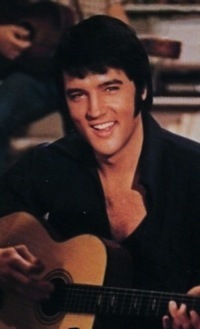 As with most Presley fans through the decades, though, it was his music that made us fans then. The movies were just the portals through which much of his music was imparted to us. In 1962 I officially became a teenager and began to follow pop music on the radio. 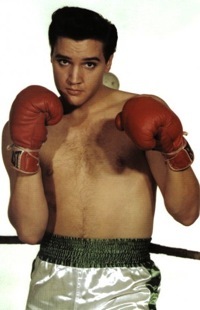 Elvis’s “Return to Sender” was hot on the airwaves that fall, and that record is what first attracted me to him. 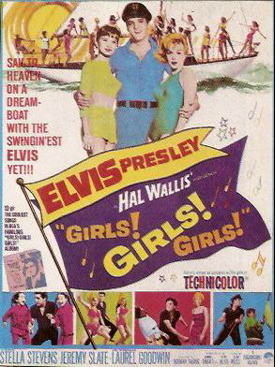 The song led me to see my first Elvis movie, Girls! Girls! Girls!, at a local theater. Some of the other songs in the film also appealed to me, prompting me to purchase the soundtrack album. That’s how it started; I became a devoted Elvis fan for life. 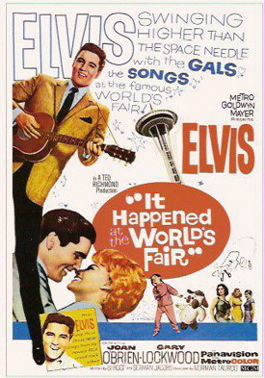 The next Elvis movie that came to town was It Happened At the World’s Fair in April 1963. The soundtrack LP was on the racks at the same time, but I decided to see the movie before purchasing the album. That became my standard procedure from then on; I went to Elvis’s next 19 movies to hear and see him sing his new songs, and then I purchased the soundtrack LP or EP for each film, when one was available. While I was taking in each of Elvis’s new movies, I was also using my paper route profits to purchase his past record albums, including the available soundtracks from the 10 movies he had made prior to Girls! Girls! Girls! In those early years of my infatuation with Elvis, I searched for opportunities to see those 10 earlier films from Love Me Tender in 1956 to Kid Galahad in 1962. In those days, of course, there were no home video players or cable channels, so I was forced to wait patiently until they appeared on one of the three network TV stations that existed then. It took five years, but eventually I was able to view all of the 10 Presley movies I had missed, the last being Flaming Star on a Saturday TV matinee in the summer of 1967. Three of those films—Jailhouse Rock, Blue Hawaii, and Follow That Dream—I saw on the big screen when they were rereleased theatrically during the mid-sixties. Seeing the rereleased Follow That Dream was the most memorable Elvis experience of my youth. Around 1964 it was booked as part of a triple feature at a drive-in theater in my hometown of Spokane. At age 15, I was too young to have a driver’s license, so I talked an older friend into taking me to the drive-in in his car. Unfortunately, the Elvis movie was the last on the triple bill, and didn’t start until about midnight. My friend, not an Elvis fan, decided he wanted to go home, and when I couldn’t talk him into staying, I knew what I had to do. As he drove away, I walked to the front of drive-in parking lot and, sitting on a swing in the kiddie’s playground, watched Follow That Dream from there on the gigantic screen towering right in front of me. When it ended at about 1:30 in the morning, I ran home—all six miles! Was it worth it? Are you kidding? I would’ve run twice as far, if necessary. While I was catching up on past Elvis movies, of course, I was taking in each new Presley flic at the rate of two or three per year. 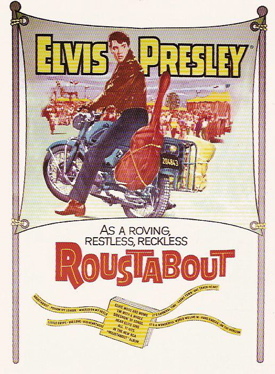 It was while watching Roustabout at the Fox Theater one Saturday afternoon in 1964 that it occurred to me that it would probably be a long time before that movie would be run on TV. 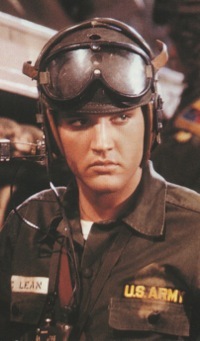 So I decided to stay in the theater and watch Roustabout a second time that day. Doing so, of course, required sitting through the second feature before the next showing of the Elvis movie started. That became my standard operating procedure when viewing each successive Elvis movie. I’d arrive at the theater early on a Saturday or Sunday for the day’s first showing and not leave until 6 or 7 hours later, after having seen Elvis’s latest movie twice. Many first-generation Presley fans clearly can’t comprehend the affection that Elvis fans of my generation have for the silly films Presley made in the sixties. To begin to understand, though, they have to consider how limited our access to Elvis was in those years. 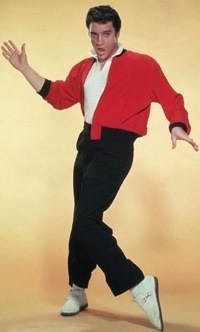 He was available in only two formats—vinyl and celluloid. There were no live shows, no TV appearances, and very little news coverage, especially after the press became obsessed with The Beatles starting in 1964. When a new Elvis movie came to town in the sixties, it was like a treasured friend returning for a visit. 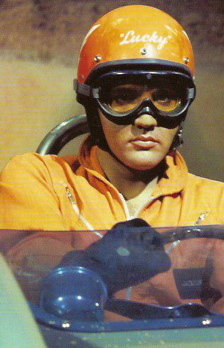 I would sit forward in my theater seat and watch with transfixed eyes for Elvis’s first appearance on the screen. I still remember many of those first images: in his military uniform walking into his commander’s office in Kissin’ Cousins, strolling through the casino in Viva Las Vegas, jumping on stage to sing the title song in Double Trouble, and singing “Rubberneckin’” in a crowded room in Change of Habit. Of course, I noticed the deterioration of the plots and music as the sixties wore on, but I never walked out of a theater disappointed after seeing an Elvis movie. I was thankful for every opportunity to see him and hear him sing. Keep in mind, that most Elvis fans of my generation never thought they would see Elvis in any other format but film. The idea that he would one day return to live performances and touring never occurred to me in those years. Some older generation fans continually voice distain for the romantic comedies that Elvis made and claim he would have been better served to concentrate on dramatic roles. Actually, he tried that once and his fans rejected it. 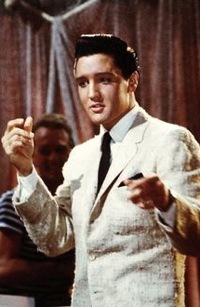 In 1960-61, four Presley movies were released. The music-filled romantic romps G.I. 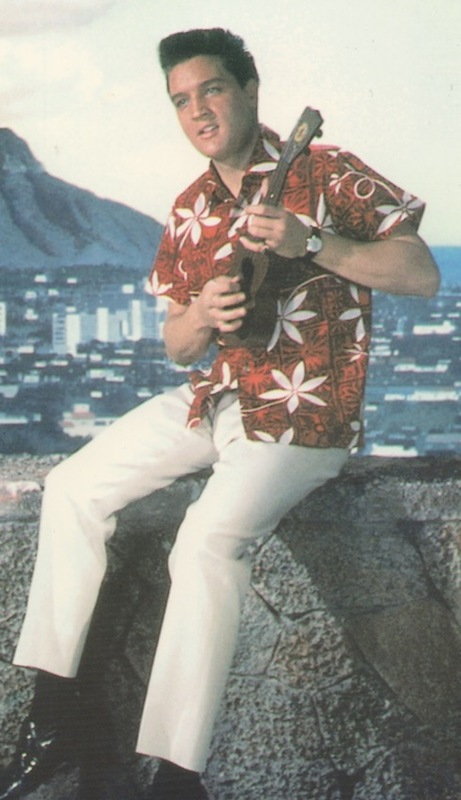 Blues and Blue Hawaii were huge hits at the box office, while the serious and dramatic Flaming Star and Wild in the Country were flops by comparison. It’s easy now to look back and wish Elvis had made more serious movies. In the most recent issue of “Elvis: The Man and His Music,” editor Trevor Cajiao referred to most of Presley’s movies from 1964 on as “horrors” attended only by “diehards.” Well, I was one of the “diehards” who remained faithful to Elvis during the lean years of his career, and the reward for doing so was all the more incredible when I got to see him on stage in 1971. 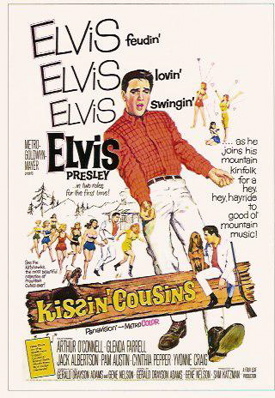 Sure, all Elvis fans then would have preferred he made better movies with better music in them. But that wasn’t the reality Elvis fans had to deal with in those years. When it was happening, I wouldn’t have traded three silly Presley romantic comedies per year for one straight drama or action flic with no music. Elvis playing a drug dealer, an undercover cop, an astronaut, a super hero? All with no music? Would his diehard fans have put up with that? I think not. "Sure, all Elvis fans then would have preferred he made better movies with better music in them. But that wasn’t the reality Elvis fans had to deal with in the sixties."